Anna Lladó Ferrer is a freelance journalist based in Barcelona with more than 12 years of experience. 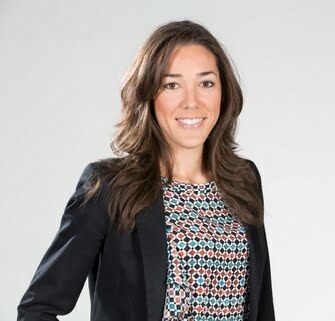 I’ve worked as a reporter for LaVanguardia.com, Informativos Telecinco, Noticias Cuatro and Euronews and as a news editor and anchor at Andorra TV. I’ve also worked as a contributor for CBC News Network, BBC, Deutsche Welle, Radio France Internationale, RTÉ, The Epoch Times, Fox News and Voice of America. I recently covered the Barcelona terror attack and Catalonia’s independence referendum. I write about Media Innovation in nextmedia.lavinia.tc and http://www.annalladoferrer.com. TV Reporter - Telecinco. Spanish. 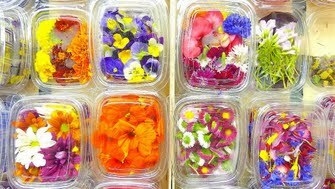 Article / Photos about Edible flowers [Electric flowers] 'These electrifying, edible flowers have chefs buzzing'. Euronews. English. Article and Video about the Speed Skiing World Cup for Euronews. English. 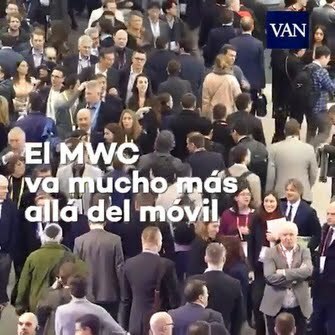 Video for Social Media about the Mobile World Congress (Barcelona). La Vanguardia. Article for Euronews. 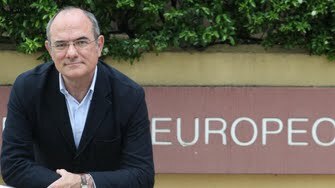 'Could Barcelona seek independence from Catalonia?' English. 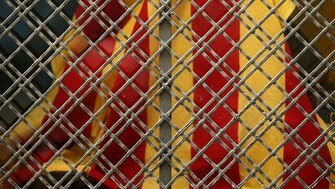 Article about the declaration of independence in Catalonia. 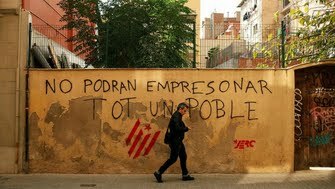 "Life in the 'Republic of Catalonia' comes with strong emotions". Euronews. Spanish. Article for Euronews. What would a Catalonian army look like? And does every state need one? English. 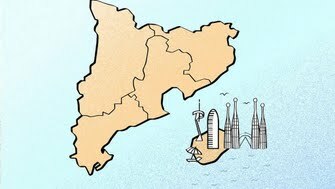 Article focused on the housing crisis due to tourism in Barcelona. Euronews. English. 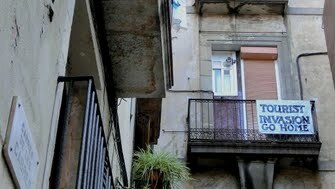 Article focused on the housing crisis due to tourism in Barcelona. Euronews. Spanish. 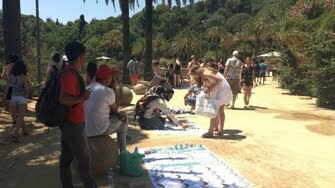 Video about unlicensed street sellers in Barcelona. For LaVanguardia.com. 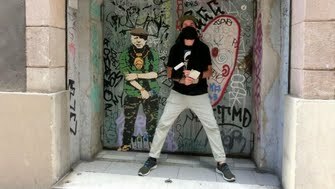 Article about TV Boy, Italian urban artist based in Barcelona, for Euronews. English. Article about TV Boy, Italian urban artist based in Barcelona, for Euronews. Spanish. 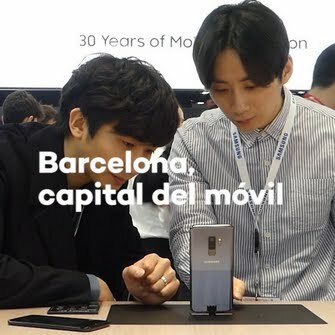 Video about Barcelona Designers Collective for LaVanguardia.com. Spanish. 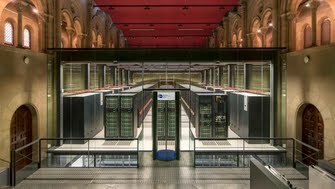 Article / Video about Europe's future for LaVanguardia.com. Spanish. 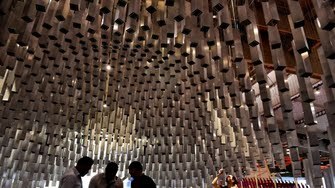 Article / Video about Innovation - Barcelona Building Construmat, the International Build Expo, for LaVanguardia.com. Spanish. Article about smart clothes for Euronews. Spanish. 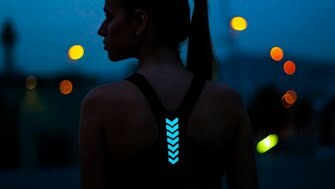 Article about smart clothes for Euronews. English.